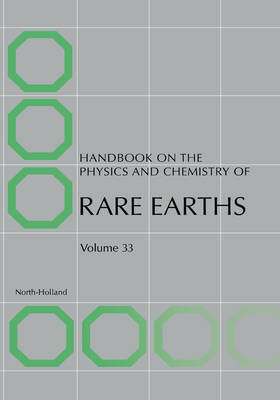 This volume of the Handbook illustrates the rich variety of topics covered by rare earth science. Three chapters are devoted to the description of solid state compounds: skutterudites (Chapter 211), rare earth -antimony systems (Chapter 212), and rare earth-manganese perovskites (Chapter 214). Two other reviews deal with solid state properties: one contribution includes information on existing thermodynamic data of lanthanide trihalides (Chapter 213) while the other one describes optical properties of rare earth compounds under pressure (Chapter 217). Finally, two chapters focus on solution chemistry. The state of the art in unraveling solution structure of lanthanide-containing coordination compounds by paramagnetic nuclear magnetic resonance is outlined in Chapter 215. The potential of time-resolved, laser-induced emission spectroscopy for the analysis of lanthanide and actinide solutions is presented and critically discussed in Chapter 216.